I'm not going to pretend this is a recipe that anyone is really going to run out and make right away. 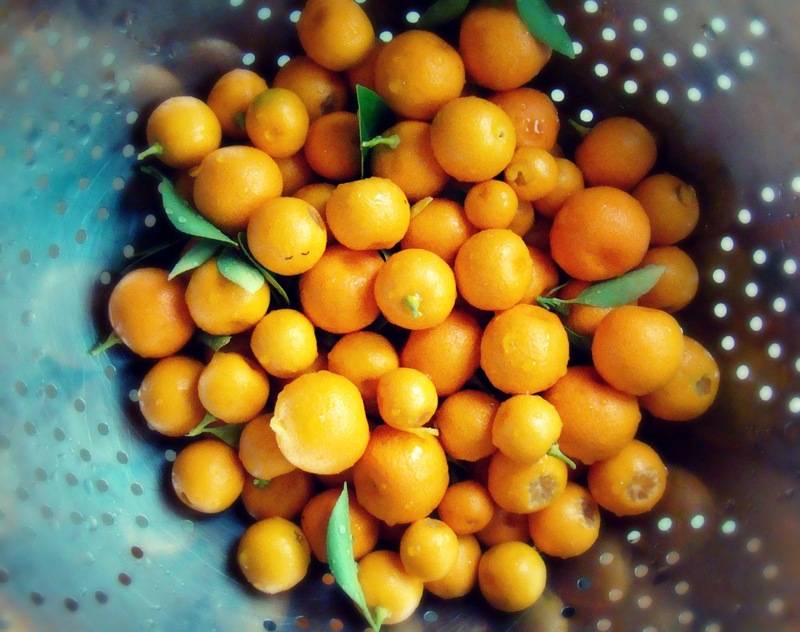 But the calamondins growing in our greenhouse were just so beautiful I wanted to share them somehow on this blog. 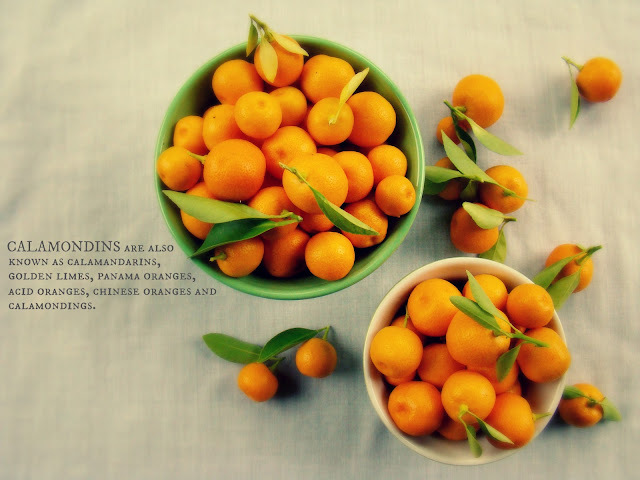 And, through the magic of Google, someone with their own calamondin tree tucked away somewhere may come along one day looking for a recipe idea. Calamondins, which look and smell just like tiny oranges, are quite a bit more tart than the typical navels or mandarins. They are not readily available in grocery stores around here in the Pacific Northwest, but the small tree in our south-facing greenhouse is willful and prosperous. 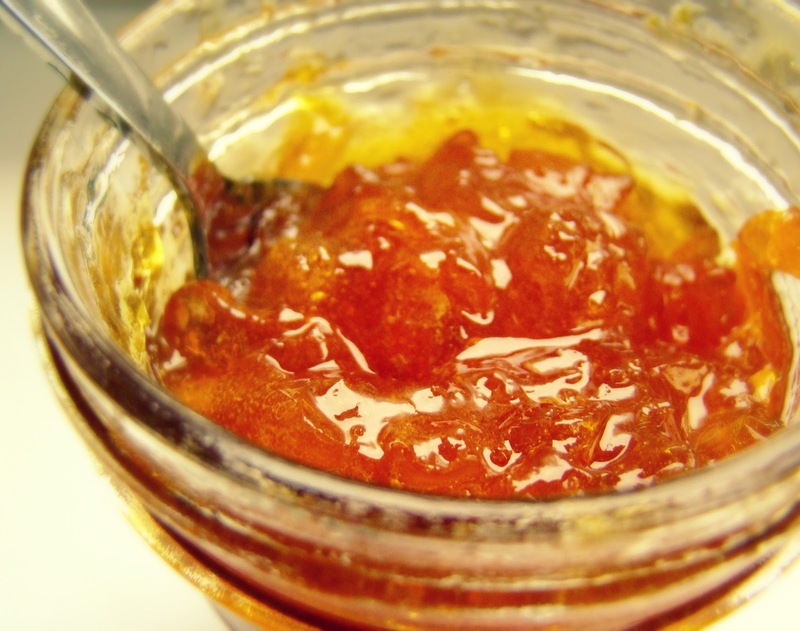 I picked a full pound of fruit off our little tree this week and set to work creating a thick and sticky marmalade using white rum and white sugar. The result is a sophisticated toast-topper that starts out sweet then zips in with a divinely tart citrus finish. Love. I combined all the ingredients in my largest pot and stirred to dissolve the sugar. I brought the mixture to a boil over high heat and allowed it to continue at a hard boil for about 10-15 minutes until the foam had settled back and the mixture reduced, stirring constantly to avoid sticking. 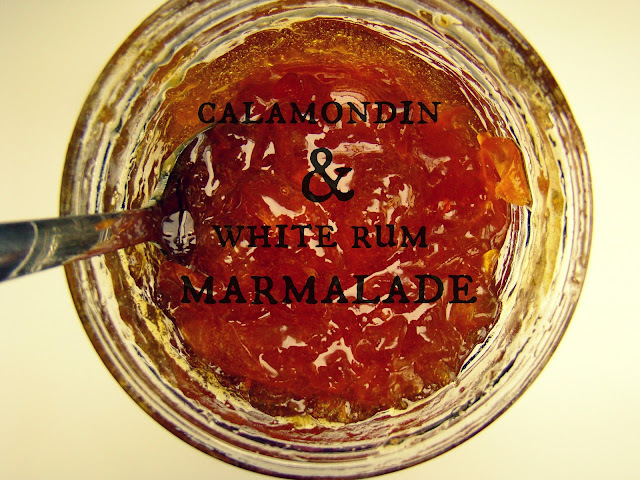 The marmalade was poured into two 250 ml/half pint jars to cool. 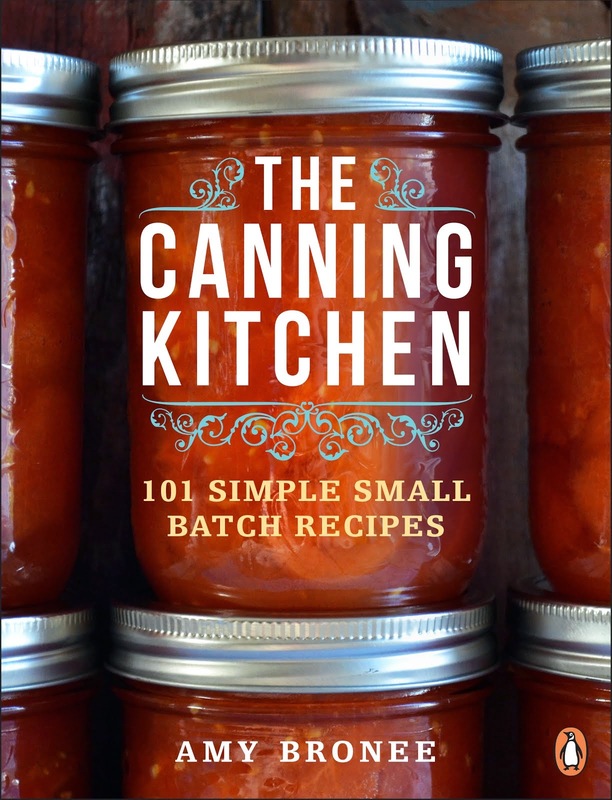 Because this makes such a small batch, I'm just keeping it in the fridge rather than processing the jars in my water bath canner for the canning shelves. It's so tasty, we'll probably eat it up within a few months anyway. 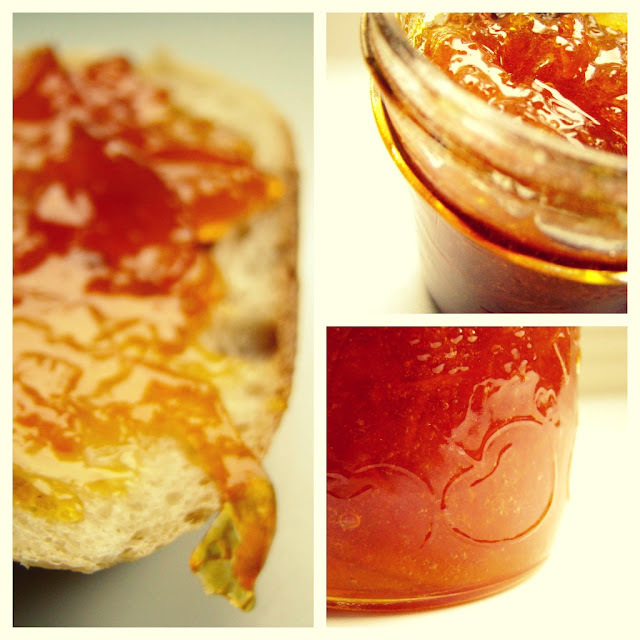 Are you a marmalade fan? 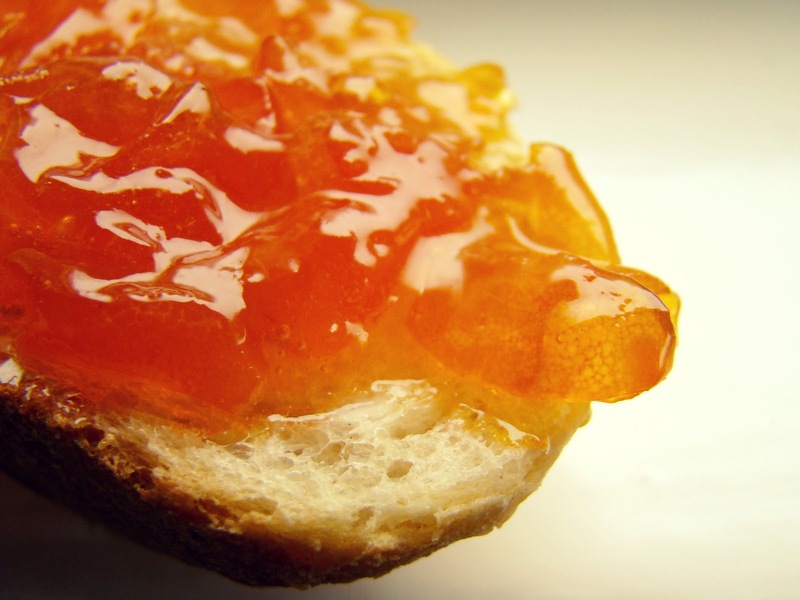 What's your favourite citrus fruit for marmalades? The prettiest pictures...and I wish I had some for my toast tonight. They are similar, yes! Calamondins taste more like a lime or lemon, while kumquats are sweeter.